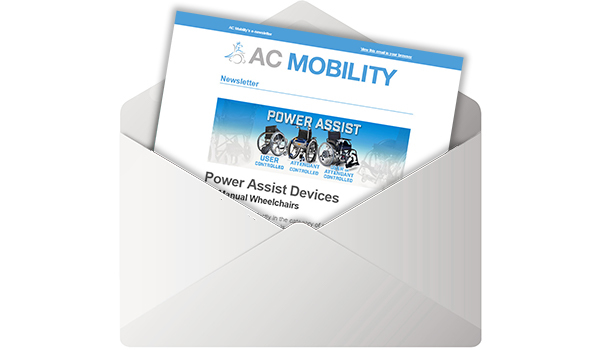 The Smart Drive wheelchair power assist device is a revolutionary new device. 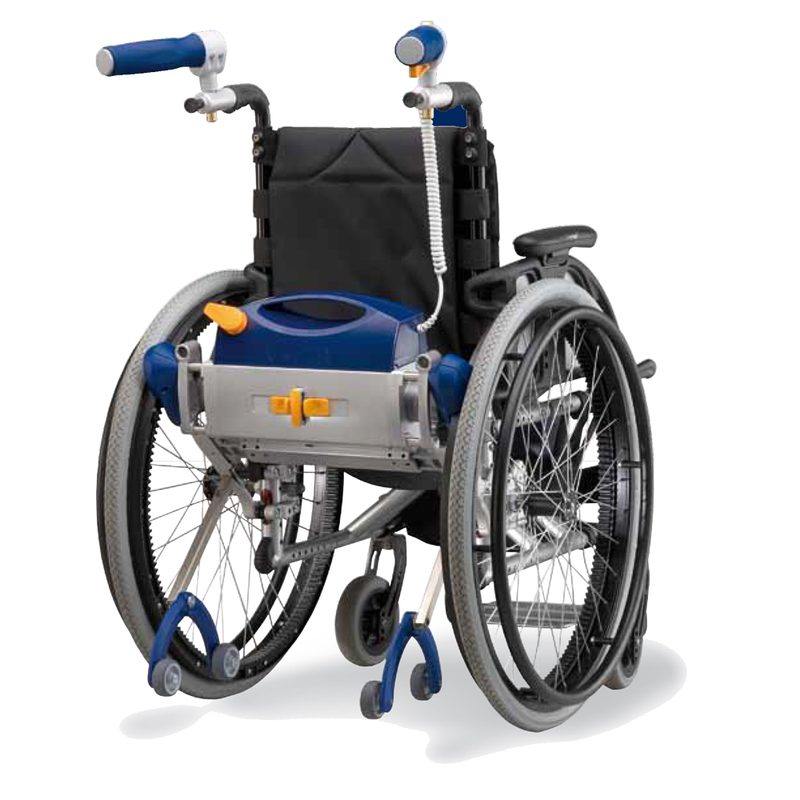 Attach it to the camber bar of your manual wheelchair, and it will power you up steep hills, over carpet and even over grass. 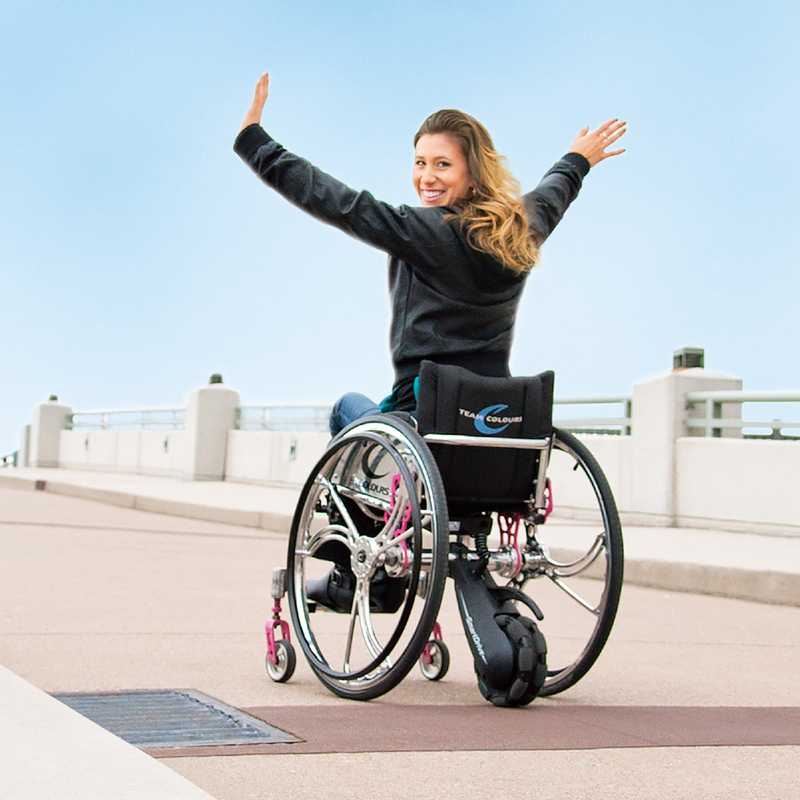 It adapts to you – just push to go and brake to stop, or use the Pushtracker wristband to control speed and braking! With a battery that will last days, Smart Drive means you can get out there and conquer the world! 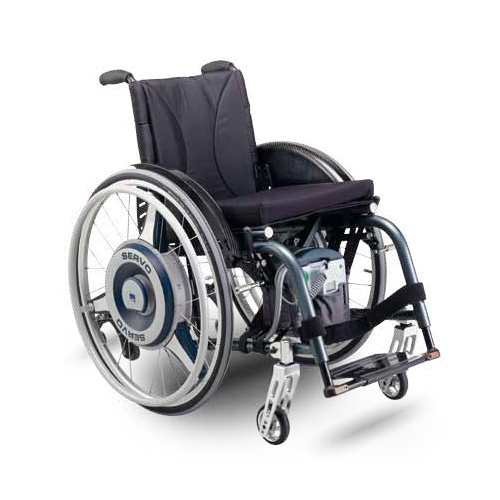 The Smart Drive wheelchair power assist device gives greater freedom and power to chair users. The SmartDrive is powerful. Whether it’s a ramp or a footpath or even thick padded carper, you can conquer it with ease. Hill starts are no problem either thanks to the SmartDrive’s anti-rollback feature. 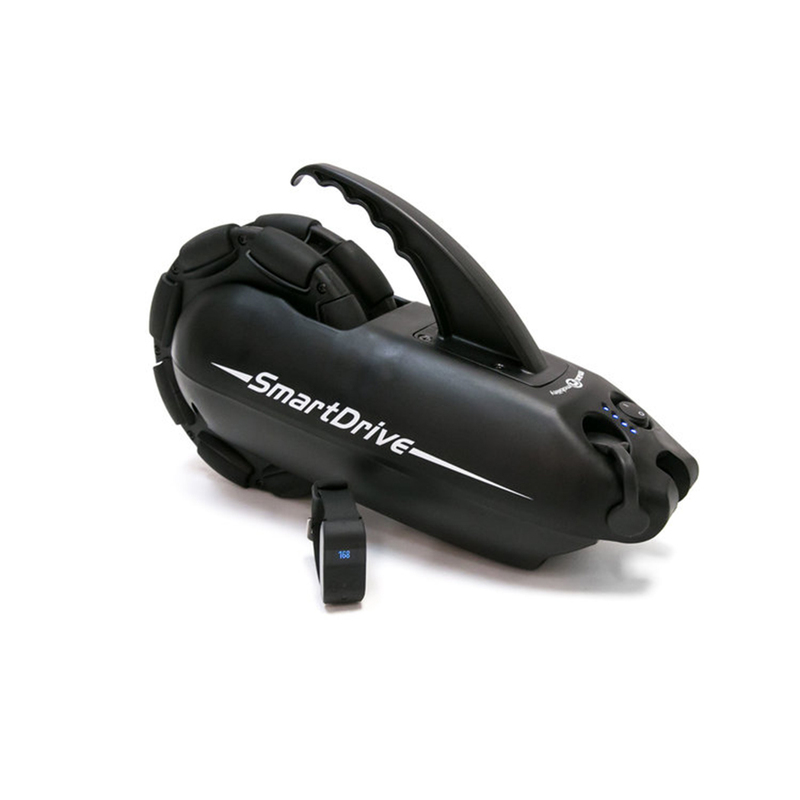 Thanks to the PushTracker, the SmartDrive is more customisable than ever. You can tweak tap sensitivity, speed and more. Just pick the right operation mode for you and what you want to do. It’s intuitive and simple. MX1: Push to go, brake on the rims to stop. Simple, right? Push to go, tap brake to stop. A double-tap to start, tap once to coast at the current speed, and then double tap brake to stop. 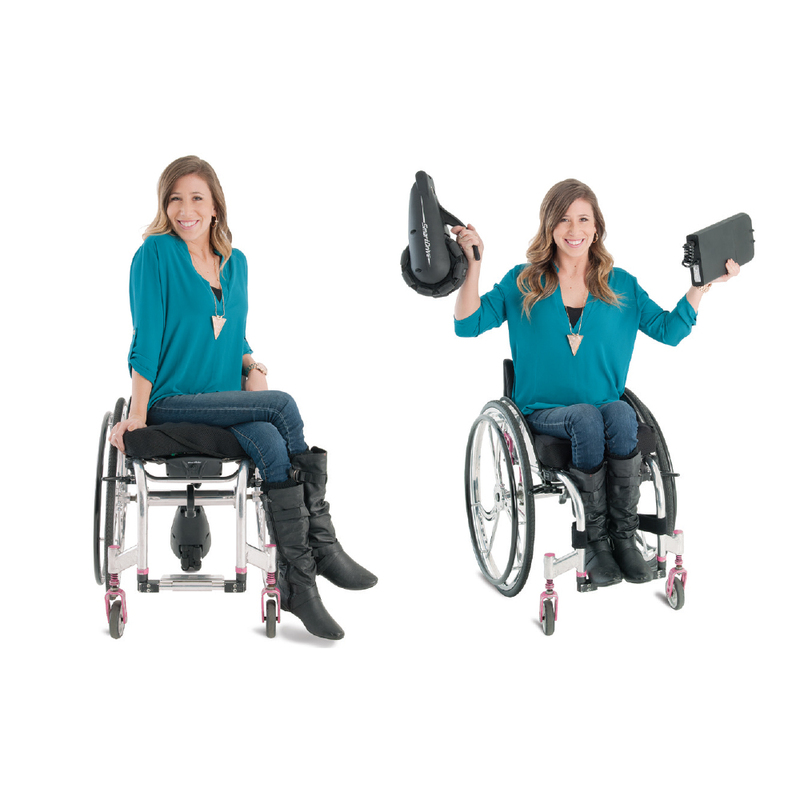 This innovation is great for users lacking upper body strength: activate the motor at the tap of a wrist! 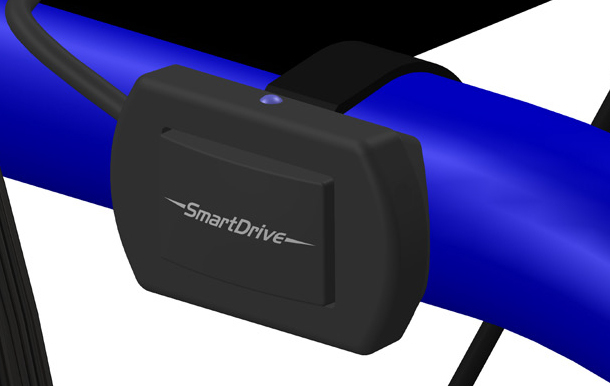 The SmartDrive is lightweight and easy to install. 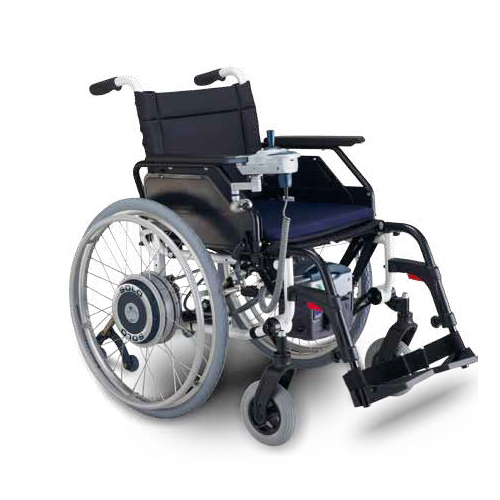 The SmartDrive weighs only 5.7 kg and attaches on the back of the chair. 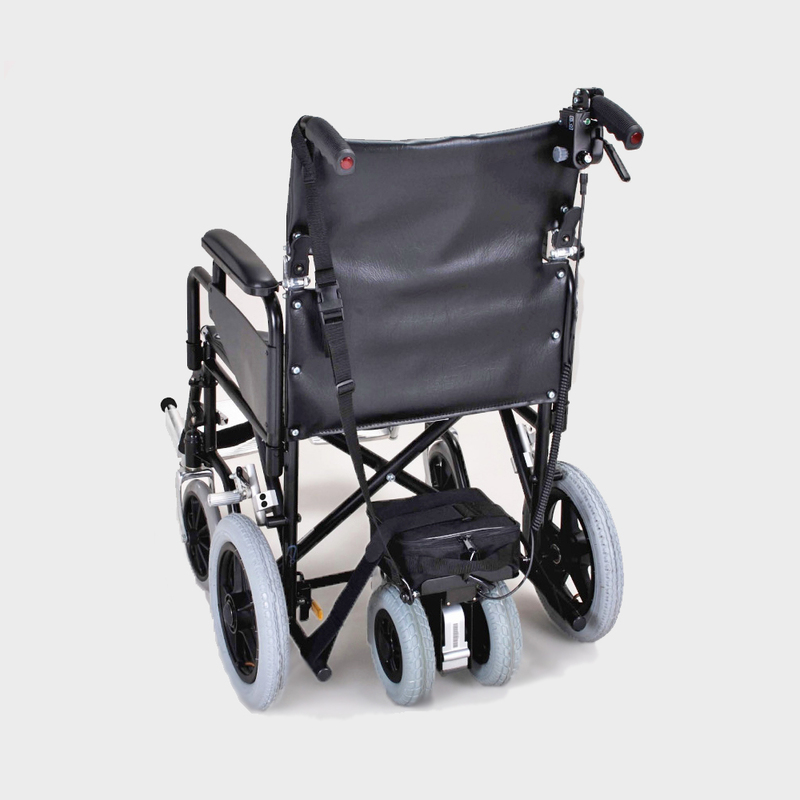 It fits almost any chair – whether it’s a folding, tilt-in-space or standing chair. With the addition of the Thumb Throttle accessory (sold separately), the Smart Drive can now be operated by the attendant! 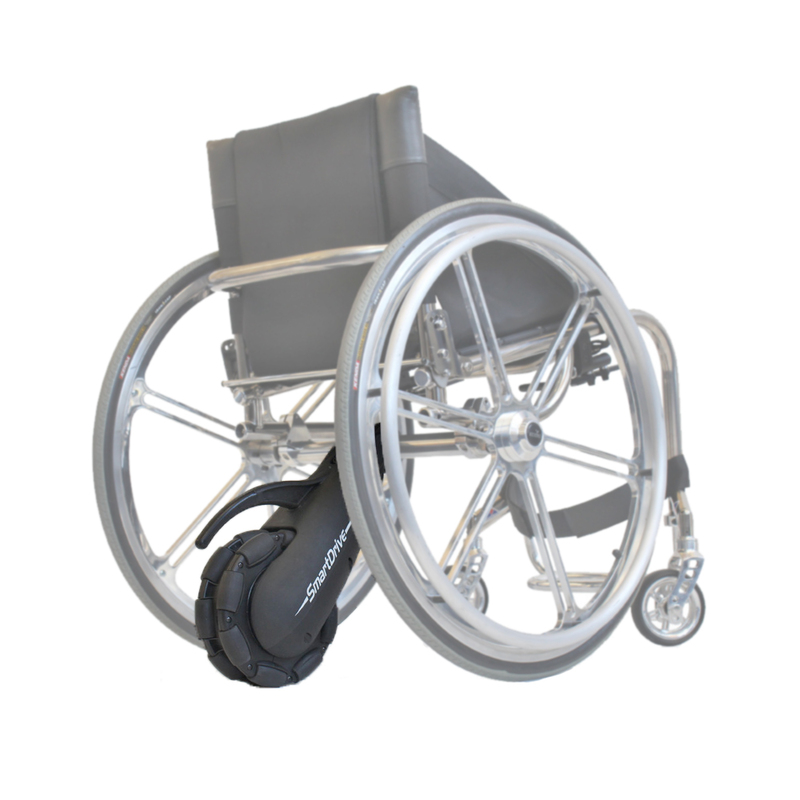 The Thumb Throttle can be put anywhere on the chair, but if attached to the wheelchair’s push handle, it can easily function as an attendant control. 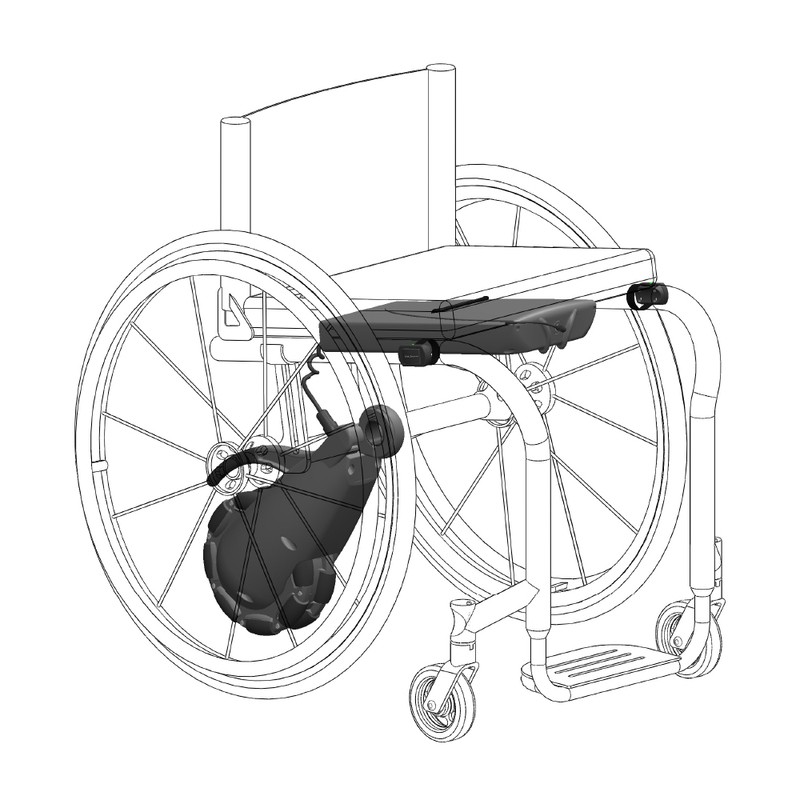 Thumb Throttles can be mounted in various positions, not just as attendant control – for example, mounting by the rear wheels gives the user added control and operation. Bridgetown, whilst being beautiful, is very hilly and that can make it difficult to navigate on my own – making it just that little bit harder to have true independence.